Summary: DOC SCANNER lets you quickly scan all kinds of paper documents, receipts, notes, invoices, ID card, books, magazines, class notes, business cards, certificates. Get the Fast speed Document scanner in your pocket and share the scanned docs immediately anytime anywhere. Doc Scanner is the powerful scanning app that saves a huge amount of both time and money. 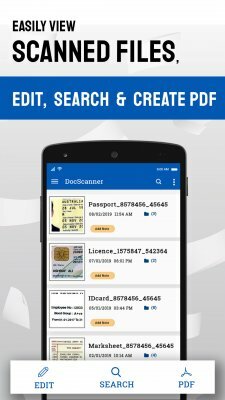 So get this doc scanning app free in your Smartphone and scan any doc in few second and share the scanned document in highest quality. Main Features: Scan your document in best fitted shape and size Automatically detect edges of document frame Scan any image by using camera to pick it from your phone gallery Drive Backup and Restore features for your scanned docs Export password protected doc Re-crop, rotate and straighten scans Apply the filter such as original, grey mode, black and white, and magic color Edit and Rename scanned documents any time Create Shortcut of your regularly used doc folder Export and share your scanned documents as PDF, ZIP or JPG with password Scans Unlimited Page and keep them long you want to keep Quick Search scanned documents PDF Converter provide an easy way to export any document in PDF form Backup and restore the Scanned Doc Smart Barcode and QR Code Scanner Scan Barcode and QR Code from Gallery image Share scanned QR Code Documents Actions Export scanned documents as JPG Export doc as PDF Share as Zip Save Documents on Drive Move to other folder Copy and Delete Create shortcut and access document directly from you home screen Rename and add tags on scanned documents Why Doc Scanner: Doc Scanner app is must for every person. Sometimes you need your different documents scanned in a single day. In that case you can use our Doc Scanner app and Get the scanned document in the highest quality and convert it immediately into PDF or JPEG format so that you can share the scanned document immediately anytime anywhere. How Its Works: You just hold your Smartphone camera over a document and Take a picture with your camera. 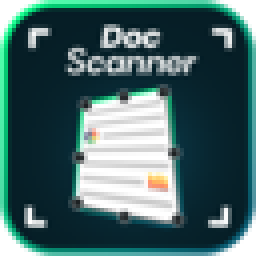 The Doc scanner app will crop the document automatically and detect edges of document frame and optimize the colours filter such as original, grey mode, black and white, and magic colour. 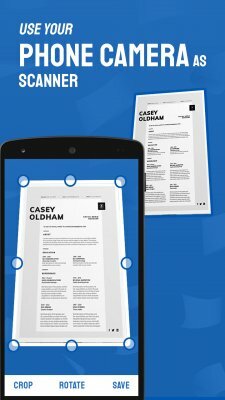 The app automatically detects the corner of the document that you want to scan for better quality along with you can also crop the part of the document that you want to scan. You can also scan the document which is already saved in your mobile gallery whether a PDF file or a regular picture. ****Additional Features **** QR and BARCODE SCANNER: Scan all kinds of QR codes and barcodes with QR and Barcode Scanner feature. Its simply point to QR or barcode you want to scan and app will automatically detect and scan it. QR and BARCODE SCANNER can also scan and read barcode from on your mobile phone gallery image. *Scan Result in detailed* App gives you the access to see all your past scanned details in History. Filter your scan result on the basis of Type which you select. Easily share your scan result on any platform (social media, messaging apps or to any contact) *Customise Scan Settings* Automatically Save scanning details in Gallery Notify the users by vibrating or ringing on its completion of scanning Flash Light supported feature in night mode. Copy to Clipboard. Open link automatically. *How To Scan QR/Barcode* Open the App Click On QR and Barcode Feature. Place your product QR OR Barcode (you can see in backside) in front of App Camera App will automatically recognise your QR/Barcode using its illuminator which reflect red light All the decoded details visible to you on scan detail page within a second.